André Lisboa is an English - Portuguese translator based in Brazil. He is a ProZ.com member, and member of the Certified PRO Network (CPN). 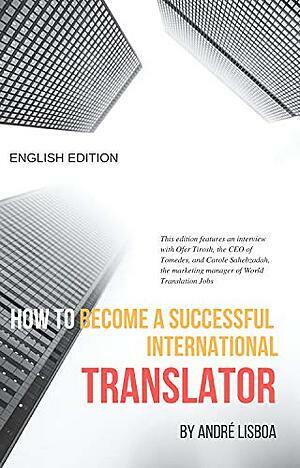 He has been working in the translation industry for over 25 years now, and has recently published a book, How to Become a Successful International Translator. In the book, he discusses some translation basics like resources and CAT tools, and also goes into detail on marketing, building a portfolio, time and resource management, and other subjects. The English edition of the book includes an interview with Ofer Tirosh, CEO of Tomedes Translations, on the translation industry in general, and what they look for when they hire new linguists. What prompted you to write and publish How to Become a Successful International Translator? First of all, thank you for the opportunity of talking about it here! Well, there were some key factors that motivated me to write this book. I take part in many groups on Facebook, WhatsApp, LinkedIn. I started helping my colleagues with tips, articles, translations and other aspects. Then, many of them kept asking me to create a YouTube channel or write a book. Also, many people from my country contacted me to find more information about the profession, asking how they could start a career as translators. I am the kind of guy who likes helping other people. I believe in synergy! All the translators who know me may agree with it. Finally, I believe that knowledge must be shared. Writing it took me many hours and a lot of work, but the result is beyond my expectations. Over 1,300 copies in the English edition sold in less than 3 weeks, 1,000 in Portuguese, and some universities in different countries told me they are going to use it as a supporting material for their courses, which makes me very happy and proud. The translation industry has gone through a lot of change over the past years, with advances in tools and technology. What do you think is important for someone who is just starting out in translation to keep in mind? Do you have any advice for "old timers" who may be having difficulty adapting to changes in the industry? As I mention in my book, the first and most important thing is to ask yourself some questions. Am I interested in it? Am I passionate about this subject? Steve Jobs once said: "The only way to do great work is to love what you do!" After that, if new translators want to succeed, they need to become proficient at using CAT tools, master their own language's grammar and nuances, be or become a good writer, know how to write effective and professional cover letters and resumes, be proactive and disciplined, build a strong online presence, invest a lot of time in personal marketing, specialize in at least one field, keep track of the technological advances, new tools and, above all, persevere. Don't stop until you reach your goals! It's a long road, but totally possible. regarding "old timers", they have something very special, experience and knowledge. Unfortunately, in this competitive digital era we are living, it's not enough. You may be a genius, super fast, efficient and a responsible translator, but if companies and agencies don't know you even exist, how will you be hired by them? For those who don't really understand the importance of marketing, let's simply say that marketing is the set of actions that make the difference between being anonymous to becoming famous, from not having clients or visitors on your site to having people finding you and offering work and partnerships. By doing marketing, you not only promote yourself but also build your reputation. I have talked to some of these old timers and I noticed three important facts. 1. They invest zero percent of their times in personal marketing. 2. They simply stopped learning about new technologies, CAT tools, and software. 3. They are out of the "virtual world". Studies point out that most people nowadays spend over 9 hours a day on this digital planet, like Instagram, Facebook, LinkedIn... If your colleagues and clients spend so much time online, you must be there too! My advice to old timers is: spend time on social media, write posts sharing your experiences, connect with other colleagues, create a website, work on your personal marketing and keep updated with technology. Take action! You are based in Brazil. Tell us about it. Are there issues affecting the business of translation, or advantages, that might be unique to Brazil? Brazil is just starting to recover from a big economic crisis. As a result, it affects all areas. Most translators here complain about the low rates paid by Brazilian agencies. That´s why most of their clients are from abroad; they pay better rates. However, the country is huge and the possibilities are endless. Things will get better! How do you feel about the future of freelance translation? Any predictions? I feel very positive and optimistic! Advances in technology will lead to huge changes in the translation industry, which will take place in less than two decades. Let's start by talking about what computers are "trying" to emulate: the human brain! "The human brain is the most complex structure in the universe." No other brain in the animal kingdom is capable of generating the kind of higher consciousness associated with human ingenuity, with our ability to make plans and write poetry. It is more mysterious than the least-explored regions of the deepest ocean. With that in mind, you can imagine how far computers are from reaching that complexity. Nevertheless, the CEO of an important company said that within one to three years, neural machine technology (NMT) translators will carry out more than 50% of the work handled by this $40 billion market. Nonetheless, I believe that artificial intelligence will primarily augment, rather than replace human professionals. The truth is that languages are extremely complex. Even a professional translator with many years of experience will struggle to actually know how to translate certain isolated words. Why? Because context is very important. Rather than being replaced by computers, I believe translators will be more like copy editors, finishing most of the work done by computers and using their human judgment to find the right words within certain contexts, giving the text a touch of soul. Translators who do not accept that these changes are here to stay will be left behind, stagnated. Besides, traditional media, like TV, radio, and newspapers are not as popular anymore. Social media, websites, online videos and digital marketing are much more effective, and the cost is lower as well. Companies launch their products all over the world through these digital tools, online stores sell their products worldwide, video game companies are expanding their businesses, technical manuals are distributed in dozens of countries. For each of those events, a translator will be needed. Localization, copy editing, transcreation, translation of subjective fields like literature and art, medicine and legal translations, IT, digital marketing, hospitality ... all these areas are very promising. How has being a ProZ.com member helped you meet your business objectives? ProZ.com was a turning point for me. Before finding out about it, getting big clients and jobs was a Dantesque task. I had to "knock on each client´s door" and offer my services, without knowing they needed help and many times, having a real hard time to find an email for contact. I always imagined how great it would be to have some kind of online worldwide yellow pages, online newspaper job ads, like the old printed “Help Wanted” section, but exclusively focused on the translation industry. An online place where I could get up every morning, enjoy my freshly brewed coffee and start the day looking for job postings, making job offers, contacting clients, reading articles about translations, watching webinars, getting suggestions of books to read. Then I found ProZ.com. It's all that and even more! Becoming a paid member was the best thing I've done, and I recommend it to all my colleagues. 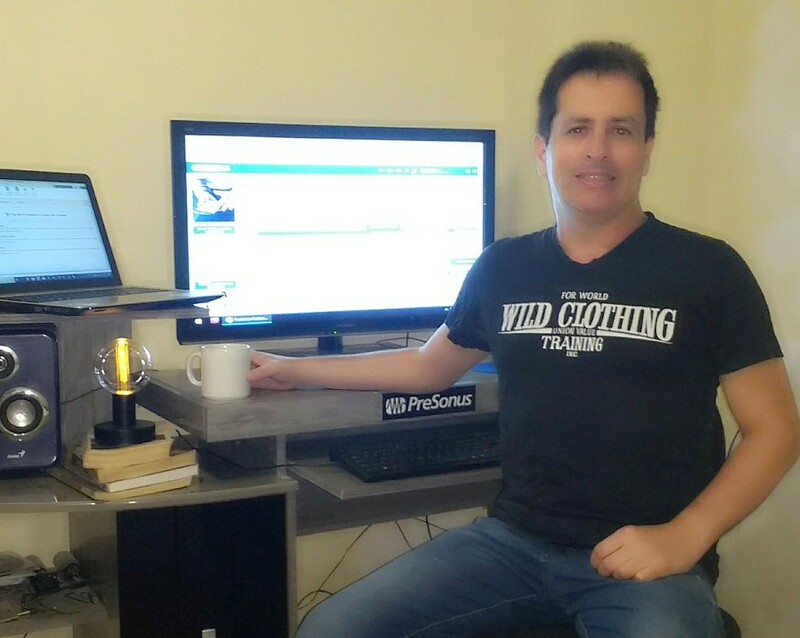 Thanks to ProZ.com, some of the largest companies in the world are now my clients, and ProZ.com helped me achieve a successful international career. You've been working as a translator for over 25 years, and now you've just published a book about translation. What is next for you in your career? I think it's important to always have goals. This is the best way to keep you moving, motivated. Right now I am promoting this book, but at the same time, I've just started a voice over company, BR Voices. It's an association between Lisboa Translations and Studio Olho da Lua. 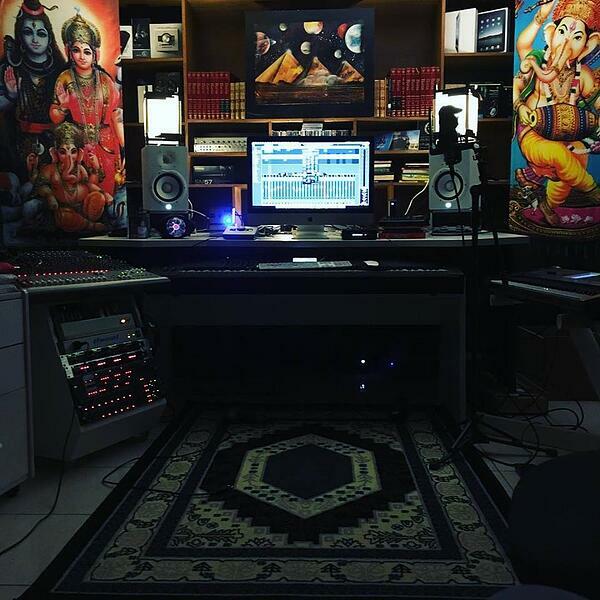 Besides being a translator and writer, I am a professional musician and audio producer. And providing voice over services is a way of putting all these skills together. That's a new service I am offering to my clients. I am also planning on specializing in two more areas this year; next month I will start taking new certificate courses. I am confident 2019 will be a great year for all of us!